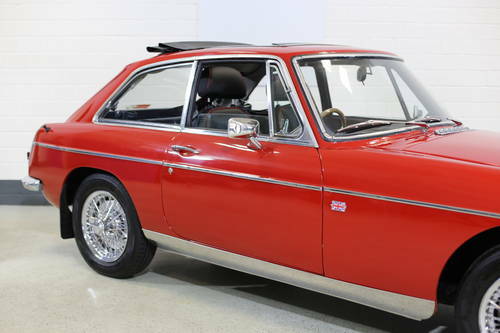 HISTORY FILE – Our B GT example is a true survivor with plenty of documentation to confirm the cars pedigree. 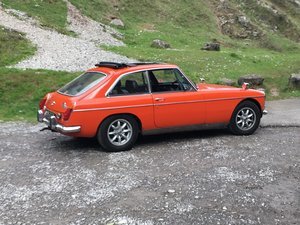 Recently released from a small collection and long term ownership of some 13 years, the last custodian is still a prominent MG Owners Club (Scotland) member. 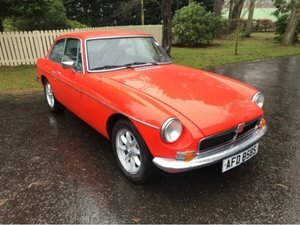 Interestingly, although built in 1969 (confirmed by Heritage Trust) our example does not appear to be sold and initially registered in Northern Ireland until August 1971. Clearly sales for that period were not that great. 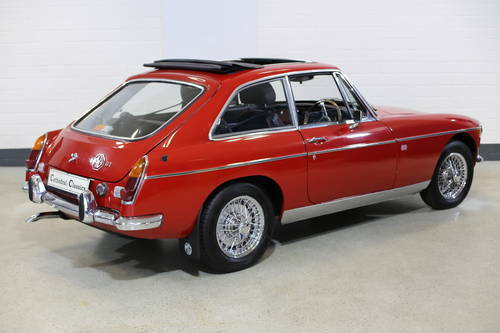 Invoices in the organised, comprehensive file stretch back to 1986 and offer any MG enthusiast a fascinating read. 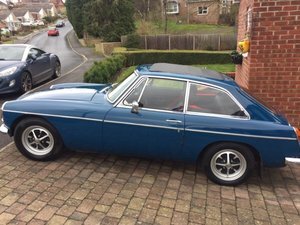 An honest old car that now needs a new home and would be an ideal purchase for a classic car first time buyer. 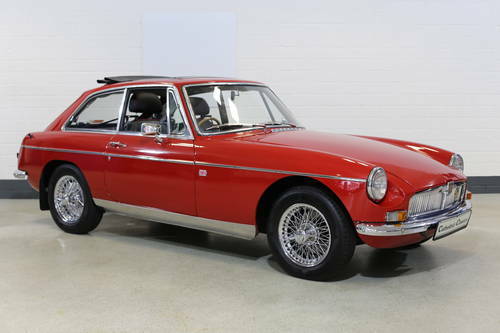 EXTERIOR – Finished in MG’s popular Tartan Red our GT is perhaps now showing signs of its age but does not offend the overall appearance of a well maintained car. 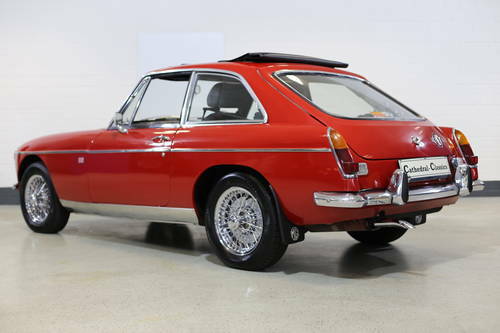 Not perfect by any means and viewing is always recommended; the car file shows recent restoration work to inner and outer sills, now covered in chrome sill covers which look great. Additional restoration work carried out in 2013 also includes a new rear valance and rear wing restoration work. 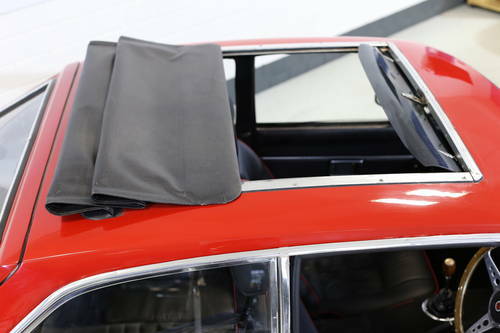 The extremely functional Britax roof is a nice ‘open air’ luxury and a highlight of the car. 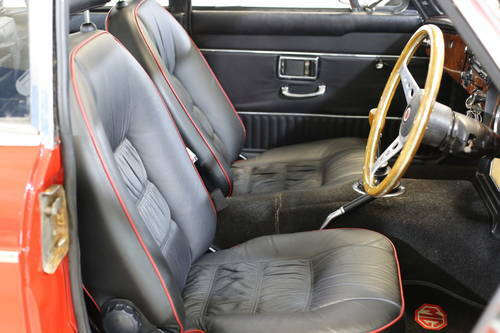 INTERIOR – The previous custodian has invested to the tune of £1000 in new leather Club Sport reclining seats which, one has to admit, are extremely comfortable indeed. 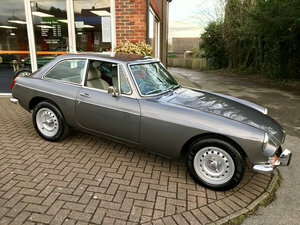 In recent years, on-going restoration work has included new floor panels and inner sills along with sound deadening kit. The ubiquitous wooden Mota-Lita steering wheel is of course present. 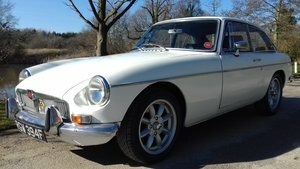 ENGINE & TRANSMISSION – The 1798 cc engine still pulls well and is testament to the B series in general that, when regularly maintained, the life span is incredibly robust. Replaced Parabolic rear springs combined with Gaz adjustable rear shock absorbers (set to intermediate) have improved the ride nicely. 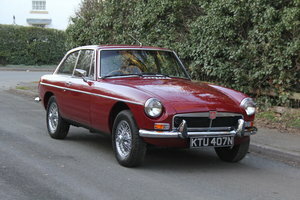 Combined with a replaced overdrive gearbox with new clutch assembly, it has doubled the improvement. WHEELS, TYRES & BRAKES – Sparkling chrome wires wheels with new 175/70 R14 Hankook tyres are also a highlight of the car and set it off beautifully. On test driving, it proved to be a real head turner.